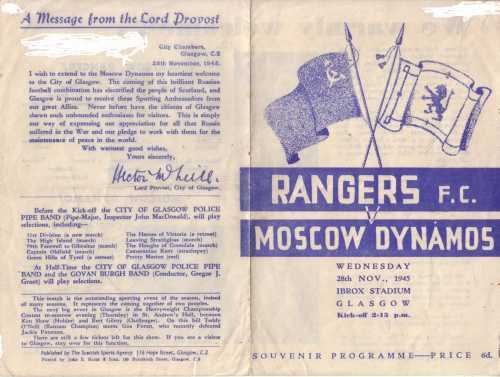 Found this pic of a Rangers v Moscow Dynamo match at Ibrox. Think we drew 2-2. No idea what their keeper has dropped. 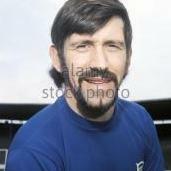 If anyone can name any of the Gers players then you’re a better man than me. Mate it's famous, particularly for Dynamo ending up with 12 men on the park! Torry Gillick is definitely the one on the left. I will take your word for that bud it’s defo a name I’ve heard of. I think Billy Williamson is the one holding back the baldy and i've no idea who is coming into shot. The other two must be Smith and then Johnston as i'm not familiar with him or what he looks like? 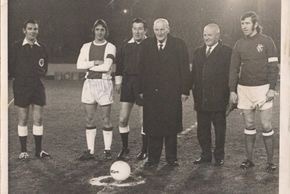 The big man in the middle is Andy Cunningham who was 'the oldest Ranger' at the time. Was a boy at that game, lost 3-1 if I remember right. They were a great side back then. Also lost 3-2 away too, think we had hope in that game that we might get a result, can’t quite mind how the scoring went. Wasn’t to be though. My Dad was at the game, he would have been 20. 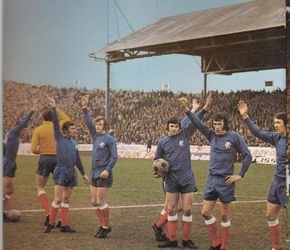 I think its amazing that in the early 70s you got to see guys like Beckenbauer and Cruyff strutting about Ibrox. 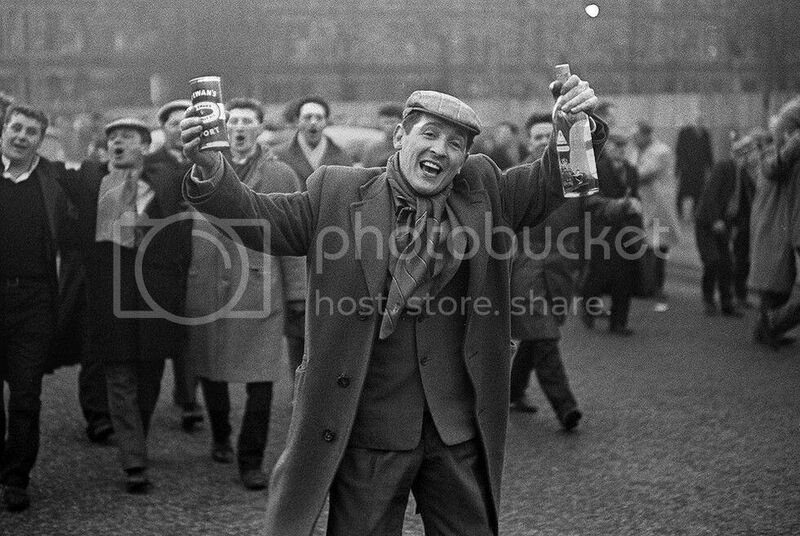 I have the reprint of that from the Willie Waddell book. Two Mangers to be, playing in the same team. Would have been 1991 when that happened next with McCall and McCoist playing together. The Beast thinks I’m a dhim ? Moscow Dynamo recruited players from other Russin teams to enhance their line-up on the tour and were effectively the Russian national team. 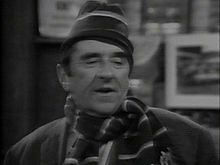 After a warm up game against Chelsea which ended 3-3, they hammered Cardiff 10-1, then defeated an Arsenal team that included and Stan Mathews as guests 4-3 at White Heart Lane (sic). 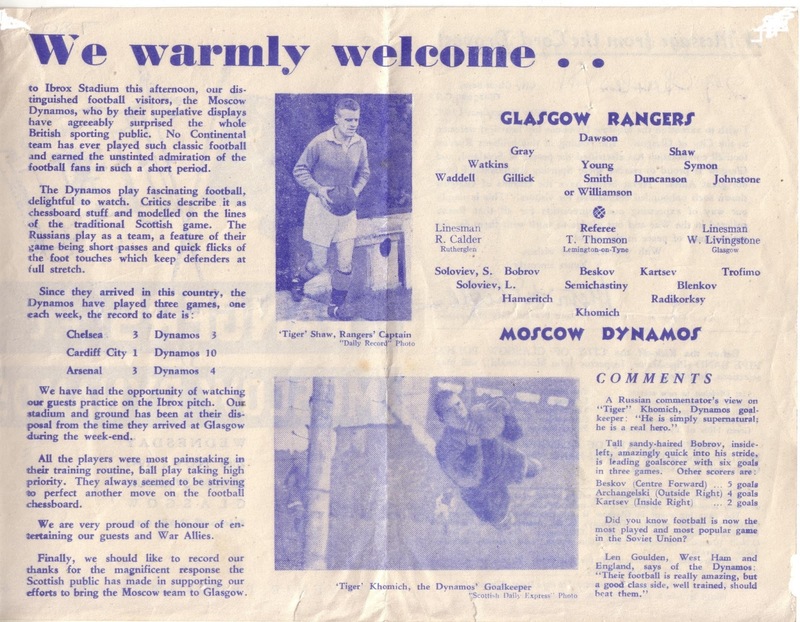 I love stuff like this, especially as at that time Arsenal and Rangers were the two greatest teams in Britain and probably Europe. 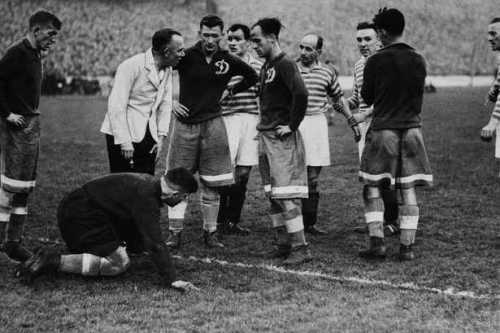 The Russians brought along a new kind of football, similar to the later Dutch "Total Football", with all players passing and covering for each other. The Russians also had the great goalkeeper "Tiger Khomich" who was deemed to be the greatest goalie in the world at the time.on a level with the later great Lev Yashin. 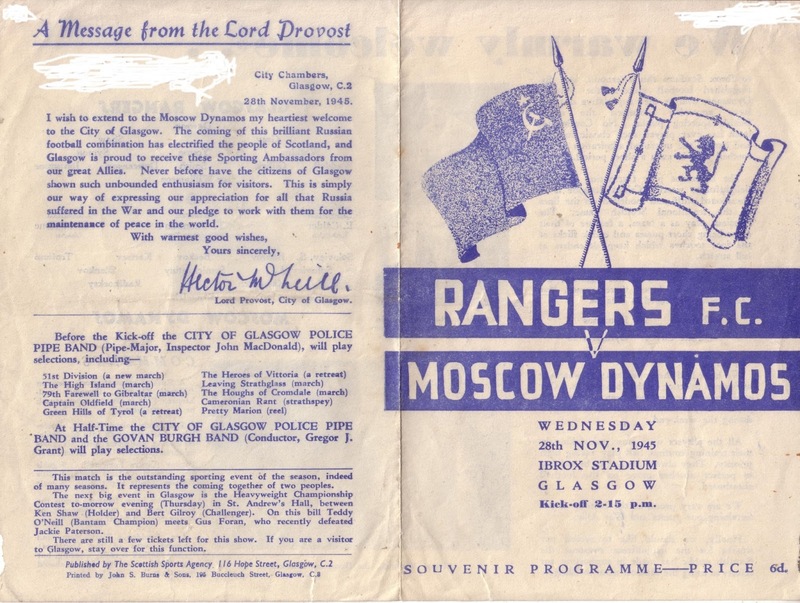 Only mention of famous hoops back then was the blue/white hoops we played in, and the yellow hoops on the Russians baggy blue shorts. 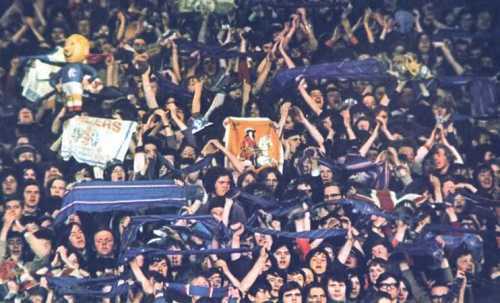 Remember these wee blue blow up wee men that had number 12 on the back? i spent forever trying to get my nephew one of those in the 90s. Couldn’t find one anywhere. Thought maybe some Bear would have one in his attic or somewhere. Just noticed this posted elsewhere, brilliant.